The opening for Jessie's Critter Carousel officially debuted this past Friday (April 5), though guests visiting the park earlier in the week may have been surprised with a "soft opening" as last-minute adjustments were made. The newly re-imagined carousel replaced King Triton's Carousel as the former Paradise Pier has transformed into Pixar Pier. You may recognize the critters on the carousel from the vintage 'Woody's Roundup' show featured in Toy Story 2. 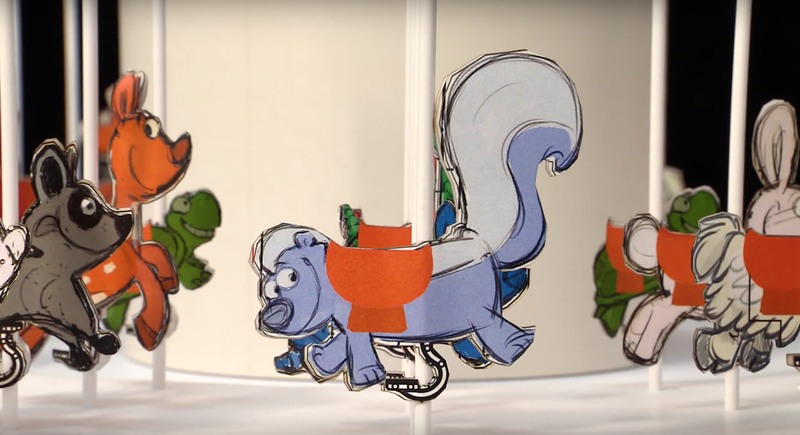 Creative Director of Pixar Pier, Debbie Gonzalez noted that the team used the sketches from Pixar artist/director Bud Luckey to make critters in 3-dimensional form. Jessie's Critter Carousel showcases eight different critters with bunnies, deer, buzzards, snakes, turtles, raccoons and our personal favorite the backward facing skunks. The attraction also features bench seats, themed with an owl family peeking out the back. In addition, a 120-foot long mural along the attraction serves as the main focal story point, as you, Jessie and the critters help to save the Prospector — who has found himself in a bit of trouble once again (as mirrored from 'Woody's Roundup'). Jessie's Critter Carousel will feature six musical tracks, including the 'Woody's Roundup' theme song and a new track titled, "Jessie Saves the Day". The four remaining musical tracks include "Jessie, The Yodeling Cowgirl," "Prospector Pete," "The Ballad of Bullseye" and “Hey Howdy Hey” which have been updated from their original version for the attraction. 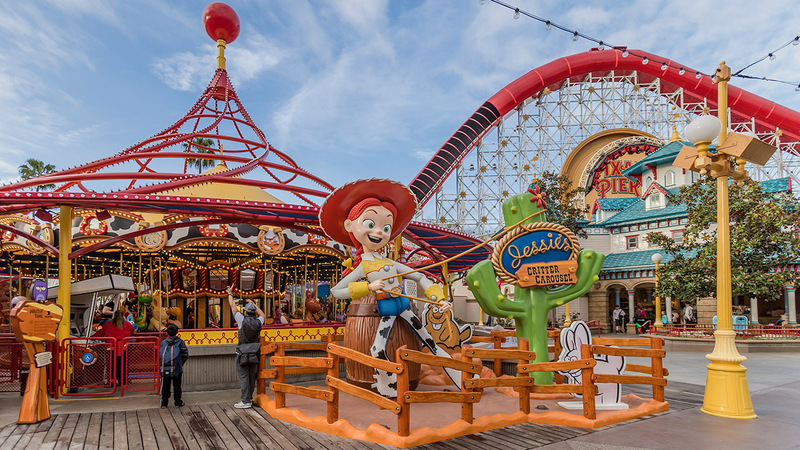 Jessie's Critter Carousel Now Open at Disney's California Adventure.